The traditional office space is no longer tradition. Fueled by new technology, an emphasis in cost reduction, and a focus on collaboration, offices are shifting to better accent the way people work. As layouts transition, storage and shelving needs for these spaces become more important than ever. 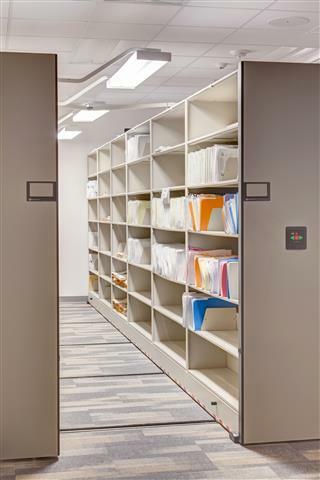 From filing cabinets and media storage to high-density mobile shelving options, we offer a wide range of office storage shelving. 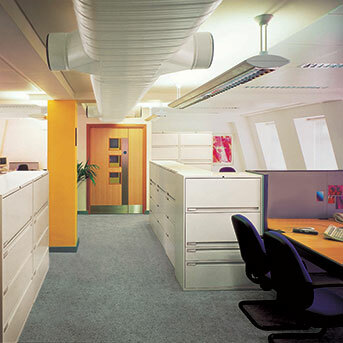 Take a look below to see how we can make an office space that works harder for you. 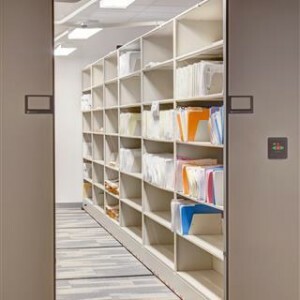 We partner with Spacesaver in designing creative, compact office storage shelving cabinets to fit your space for offices throughout the San Diego, California area as well as parts of Oregon, Montana, and Colorado. Storage isn’t just cabinets and shelving—it’s also what you use to organize your items that can also make a difference. We partner with trusted businesses to supply a variety of filing supplies for your varied office needs. 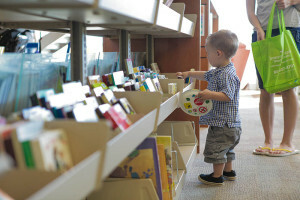 Smarter office storage shelving can make a difference in your office space.